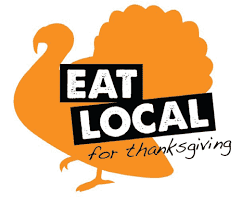 Bring more friends to the table by having local goods from your favorite Farmers Market vendors in your holiday meal! Find us now through May in our Winter Home. 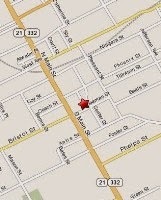 We're just one block away from our Summer Home, across Main Street and down south one block. You'll find us behind the Main Street Byrne Dairy. Riedman Happy Hives will be back at market with glass jars of the sweet stuff. Buzz on by and say hi and stock up as we will only be at winter market once a month! Fisher Hill Farm has your sides and centerpiece for a holiday meal. Sweet potatoes, potatoes, carrots, onions, parsnips, cauliflower, broccoli, Brussels sprouts, winter squash, cabbage and more. Local grapes as well as chicken, duck and eggs. We will even have unreserved, fresh Thanksgiving turkeys if you are still in need! Kitchen Blessings will NOT be at market this weekend. 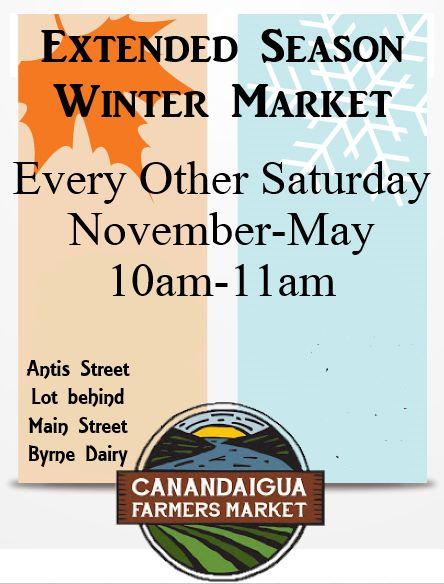 We will be back in December with fresh baked goods and several new jams for your Holiday shopping. I AM currently taking orders for Thanksgiving pies. Please order NO LATER than Monday Nov. 20th. Wohlschlegel's Naples Maple Farm will NOT be at market this weekend. K&S Bischoping will have apples including but not limited to Jonagold, Gold Delicious and Crispin. All great for cooking for the holidays. Amber Reifsteck will have stew starters, halved squash, flowered gourds, beeswax tapers, and a few Thanksgiving themed pumpkins. Bedient Farms will have turkeys for those of you who ordered EARLY BIRDS! We will also have everyone's orders for beef, pork and chicken along with a full stock with lots of specials for the holidays! We will be taking orders for Holiday Cuts; Prime Rib, Tenderloin, Pork Roasts, Hams and Steaks for New Years! Thank you all for your support and we hope you enjoy a bountiful THANKSGIVING and a happy holiday season! Ox Creek will have a large assortment of different cuts of Lamb and Pork and some whole Chickens. As of now we are sold our of Thanksgiving Turkeys.